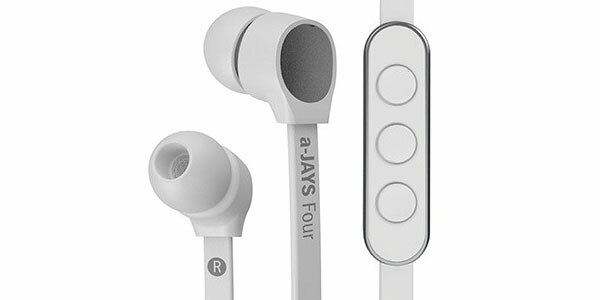 a-Jays Four earphones are at the mid-premium end of the scale, and are made for iPhone, iPod and iPad. They will ‘work’ with other devices, but the in-line remote control complies with Apple’s specs for those three devices, allowing you to control the volume, skip forward and back to tracks, and answer / hang up phone calls. Overall, the sound quality of the a-Jays Fours is good. The bass reproduction gives a decent, non-distortive thump, and the treble is kept well in control. The speaker tech is helped out by the silicon sleeve, of which five sizes are included in the box (in XXS to L size). Once in the ear the silicon sleeve will allow the listener to not have to turn the sound up too loud to drown out external sound, and keeps in check – at a reasonable sound level – sound bleeding out from the earphones, so you’ll have to work harder to annoy fellow passengers on public transport. 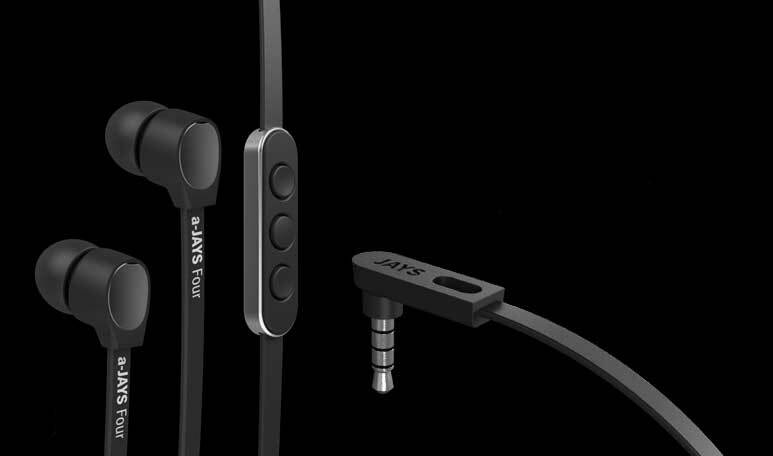 In addition to improved sound quality, over say the standard Apple earphones included with iPhones, iPods and iPads, there’s a rather more practical advantage, in that the a-Jays Four cabling is flat, so that even after a prolonged period kept in a pocket, the cable remains tangle-free. That’s a big plus for me, as I am well sick of the veritable Rubik’s Cube I have to deal with every time I use my Apple EarPods. from Amazon for around the US$60 mark. There are two choices of colour – black, or white.